Once there was a little girl who loved to dance. She danced so much her mother feared she’d never find her feet on the ground and if she never had her feet on the ground she’d never be able to take care of herself when she grew old. So she took the little girl’s shoes to the shoemaker and asked him to line them with lead. And so the little girl who loved to dance learned to walk with heavy step. But still she loved to sing and laugh no matter where she went. Her mother feared her daughter’s voice, which sounded like birdsong, would keep her from ever taking life seriously and if she didn’t take life seriously, how would she ever watch out for trouble? And so the little girl who loved to laugh and sing forgot the power of her own voice beneath the weight of the cloak as she took each step. She was careful to always look out for trouble. One day, when the little girl had become an old woman and no longer needed lead lined shoes to keep her feet firmly planted on the ground, or a cloak of thorns with worries sewn into every stitch to keep her taking life seriously, went into the forest to gather firewood for her hearth. As she carefully picked up wood to place into her basket, she saw a child dancing and heard her singing amongst the trees. The sound of the child’s voice that sounded like birdsong, the sight of her spinning and twirling about set her heart racing so fast she had to sit down in a hollow at the bottom of a tree to catch her breath. But, before she sat down, she had to check the ground for spiders, and sweep away all the dirt and place a cloth upon the earth to keep her clothes from getting dirty. Worried that a wild animal would come and attack her, she sharpened one of the pieces of wood in her basket into a spear and placed her back firmly into the tree trunk where she sat. But still it wasn’t enough. She was worried that an animal might sneak up from behind her, or a storm would blow in and knock down the tree beneath which she sat. And as she sighed and kept shifting her eyes around, making sure she was safe from attack, she forgot all about the little girl laughing and dancing in the woods. And the animals never paid her any attention. They didn’t see her tucked into the tree’s trunk and they were busy anyway. They were doing what animals do in the woods and did not have time for an old woman sitting in a tree, glaring out at the world, fearful of every noise. And the little girl never saw the old woman sitting in the tree trunk either. She was too busy dancing and singing to her heart’s content as she continued on her way through the forest. Slowly, over time, the old woman fell asleep to dream of a dancing girl with a voice like birdsong who long ago danced in the woods and sang to her heart’s content. And as she dreamed, the seasons turned and the leaves fell and snow blanketed the earth and her heart grew still until only the sighs of the wind could be heard whispering through the leaves. She sits there still today, tucked inside the tree, her body entwined in the ivy that spun its way around her like a cloak of thorns knit together by worries. I originally posted this story in 2016. This story wrote itself from a dream. It has many meanings for me. I’m curious to know what it means for you? Please, do share your thoughts. 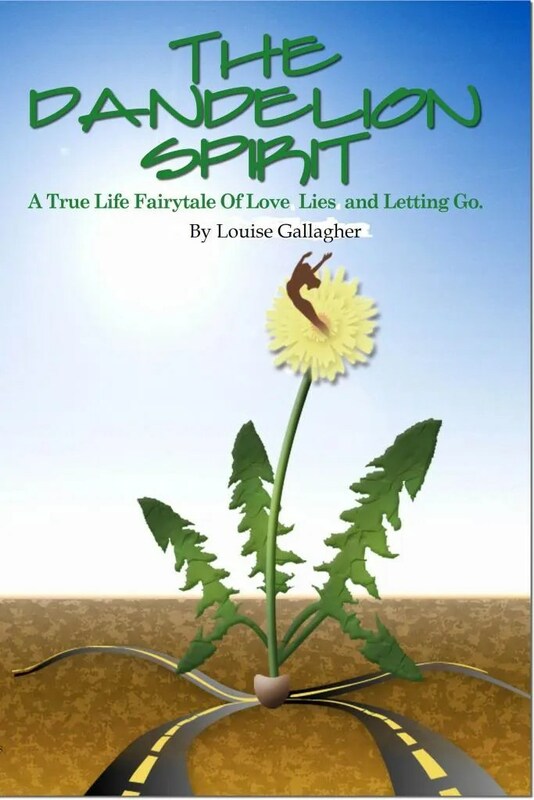 Categories: Essential Journey, letting go of fear, The Seeker's Journey | Tags: don't worry, fairytale, worry | Permalink. What you see is not always all there is to see. When I took this photo of the window washers, I was focused on capturing the three individuals hanging off the side of the building. They looked ethereal. Surreal. Courageous. I stood and watched and wondered about what was happening for them in that moment of hanging around on the side of a glass building. Were they talking to one another? Were they talking politics? Telling jokes? Laughing at us wee humans down below on the sidewalk? I loaded the photo to instagram, again calling attention to the 3 individuals hanging together. And then, I noticed the fourth person. The one down in the bottom left corner. I hadn’t noticed them when I took the photo. Didn’t even realize they were there. How often does that happen in my life, I wondered? That I become so focused on what is right before my eyes, I don’t notice the things happening on the periphery. The stories unfolding elsewhere on the page before me? Life is a huge tapestry of people and animals, plants, things in constant motion. It is always changing. Always evolving. Sometimes, it’s easy to get so immersed into seeing what’s right in front of us, good or bad, we don’t stop to remember all around us there is a whole world of possibility unfolding. What story was the lone window washer telling themselves about the fact they were not part of the big story unfolding up above? Did they realize no one noticed them? Did they think they were the big story? Did they even give a single thought to the people below (there were several of us watching the 3 window washers) or were they so engrossed in their work, they were oblivious to everything else? It’s all in our perspective. We can either see only the obvious things on our path, or the treasures at the edges. We can see the troubles or the possibilities. The ugliness or the beauty. The unhappy stories or the glad tidings. It all depends on where we put our attention, and how willing we are to look beyond the obvious to the periphery of our imagination and vision for other perspectives, differering stories. I took a picture of three window washers. The fourth one held the bigger story for me. Someone who always inspires me in seeing beyond the obvious is Ann Koplow at her blog “The Year(s) of Living Non-Judgmentally“. Everyday she posts photos of things she sees and always, she enchants me with her sights and insights. Check her out! Maybe you’ll be enchanted too! Categories: Essential Journey | Tags: ann koplow, different perspectives, life angles, POV, seeing things differently | Permalink. If you think you can’t do it, prove yourself wrong. I woke up this morning wondering what I was going to write about. Hmmm…. Maybe there’s nothing I want to explore. Maybe I’ve written all there is to write. Hmmm…. I wonder where else in my life I do that? Turn up and assume I’ve got it covered. I know it all and in my all-knowingness don’t test my belief I know it all? I like to think I am a student of life. That as often as possible, I will enter any situation with the Zen concept of Shoshin or “Beginner’s Mind”. And then, I forget. I walk in thinking I know it all, or have all the answers, or there’s nothing else to learn only to discover the limits of my understanding, the narrowness of my view, the shallowness of my thinking. And I begin again. To return to Shoshin. To enter Beginner’s mind space. I begin again to unhook my thinking from what I think I know, or tell myself I can’t do, to accept there is more to what I don’t know about myself, someone else, or a given situation, than I think. I woke up this morning and told myself I had nothing to write about. I decided to prove myself wrong. Once upon a time, I thought being in relationship meant I had to change who I am to fit who I was with. I thought that loving another meant giving up all of me to serve love. Life, and relationship has taught me otherwise. One of the most important things I’ve learned along the way of being in relationship with another without losing myself first is to always, Love Myself First. For me, that means understanding and honouring who I am the value I bring to the relationship is found in being exactly as I am. It’s in knowing, the strength of my vulnerability when I allow another close-in is not measured in how much of myself I give up. It’s found in how much of me I bring to the relationship without warping, shifting, and submerging my true self to be with another. I am done with warping, shifting and submerging my true self. Which is a good thing! I never felt all that comfortable trying to fit into someone else’s skin, no matter how hard I tried to make myself fit just right. And here’s the thing about the ‘game changer’ part for me. In the journey of learning to love myself first, exactly the way I am, beauty and the beast, I have discovered the true value of being me. Where once I believed I needed a man to complete me, today, I love and like me with, or without, a man in my life. What I value most today is not my heart’s capacity to get all excited about being in relationship, it’s how relationship feeds my heart what it needs — connection. Think with your heart. Feel with your mind. My heart is a connector. It not only keeps the blood flowing throughout my body, carrying vital oxygen and nutrients to every cell, it is continually teaching me how to be in this world by the connections it makes in relationship with others. I am learning to think with my heart and feel with my mind. I am learning to trust my heart and question my mind’s demands that I fear, avoid, and sometimes destroy relationships because of the past. To go from broken to pieces, to broken open, to feeling whole in this lifetime! A broken heart is an open heart and an open heart is a loving heart. I love my heart for its capacity to feel, to know, to teach and guide me in being connected to the world around me. And I love my mind’s capacity to take all that information the heart feeds it, and sift through it and measure it and give me feedback on how I’m doing, and feeling, in Love. When I listen to my heart and keep my mind free of fear, I am free to be me completely, no matter where I am or how close-in another gets. We are all relational beings. Through relationship with my beloved I continually learn to embrace being all of me. Every day I am given opportunities to expand my capacity to trust myself in relationship without fearing losing myself all over again. Categories: Essential Journey, Marriage | Tags: love yourself first, loving another and not losing yourself, one being in relationship | Permalink. Are you letting go of you to fit into someone else’s way of being? Life is an experiential journey filled with opportunities to learn how to be your best self. We all want to feel like we’re being real, authentic, genuine. Too often, we end up confusing ourselves and others because we work so hard to fit into the world around us, we lose sense of our own self. It can be easy to believe ‘fitting in’ is the way to go. That being part of ‘the in crowd’ is the answer to any sense we have of feeling apart. That joining in ‘group think’ will give us a sense of belonging. Whenever I’ve done that, whenever I’ve given into my need to ‘fit in’, I have felt the dissonance of being silent, of compromising my own values to adapt to someone else’s. Whenever I’ve let go of ‘me’, I have ended up feeling like I am living against my own grain. It just doesn’t work well for me. But it has provided me many opportunities to fall and grow in my own convictions of the rightness of living true to myself. Because, every time I’ve found myself in that place of feeling like I’m contorting my skin to fit someone else’s dimensions, I’ve fallen. Hard. Being who we’re not for the sake of feeling like we belong, does not fit well, for our self worth nor the world around us. To be authentic we must be willing to fall and trust, that our wings will appear when we let go of holding onto the belief, “I need to be perfect”. In the belief that perfection matters, we become trapped in doing things to please others because, we tell ourselves that it is only through pleasing others we will receive love and acceptance. I have fallen many times on the road of life. Every fall has given me an opportunity to learn to fly. I am grateful for the teachings. Gratitude creates space for grace to arise. For joy to enliven my world and being. Gratitude creates beauty within, and outside, in the world around me. The painting above is part of my #ShePersisted Series which I began in February 2017. 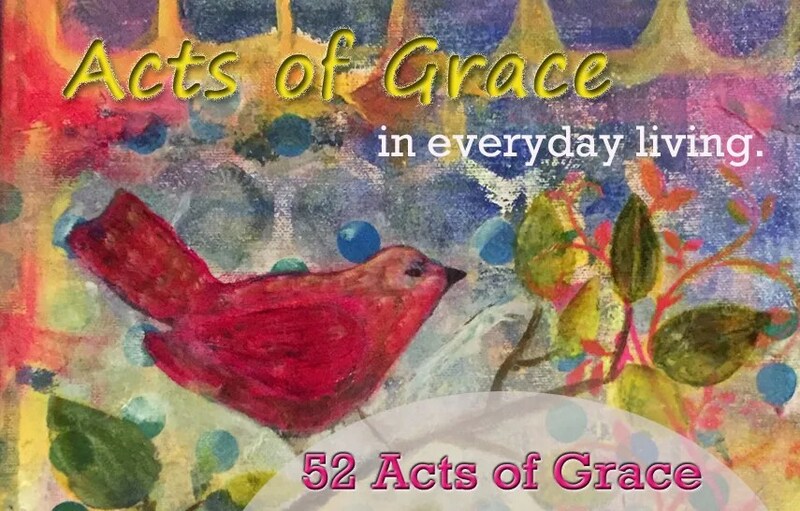 I have committed to writing a reflection for each painting (I have currently completed 47 in the series) with a question(s) at the end to inspire actions on how to live whole-heartedly. This is No. 5 in my reflections. Categories: Essential Journey, She Persisted | Permalink. We didn’t set out to have so much fun. But there we were, laughing and playing along and doing just that. Having fun! C.C., my beloved, returned from a business trip to California in time for dinner last night. Not feeling like cooking, I suggested we go try out a pub our neighbours had mentioned. I thought it was the one closest to our home. Fortunately, C.C. knew where we were going. Hexter’s in Bowness didn’t disappoint. Sure, it’s a pub and the food is pub fare but it’s hearty and C.C.’s Shepherd Pie didn’t disappoint nor did my Quesadilla. It was so filling I brought half of it home for lunch today. We got there around 6:30 thinking we’d be an hour and a half. Expect the unexpected and you won’t be disappointed! When we arrived, the early evening sun was streaming in through the garage door windows that were rolled up to allow access to the front patio where several people were enjoying the heat and their meals. Having just returned from southern California and Palm Springs, C.C. wasn’t up to anymore sun and heat so we sat deeper inside at a table next to the bar. We were two of max 30 patrons scattered around the place. There’s a fancy long bar and a couple of pool tables in the back next to a room with VLTs. Beside our table there was a giant Jenga set and a DJ station set up against the wall. We chatted with the friendly server, Laura, placed our order in anticipation of eating and going home. We had no idea what we were in for. Just before 7, a tall woman comes striding in the front door. Scottie doesn’t just enter a room. She makes an entrance. Long frizzed up blond hair piled on top of her head, tendrils streaming down her back. Dressed all in black. Black top over tight black shorts. Black boots. Somewhere in her 50s, this is a woman who knows who she is and what she’s doing. She prances around the room, laying down pieces of paper and a pencil on every table or every person. “Give yourselves a clever team name and I’ll give you 25 bonus points,” she tells us as she firmly places the paper in front of us. “What’s this for?” I ask. “Music trivia!” she exclaims and then she’s gone. Off to the next table to engage them in playing the game. “I’m awful at music trivia,” I tell uber competitive C.C. I’m also awful at picking names. He raises an eyebrow at Sugar and Spice, gives me a dazed look at Lucky ‘n Love and starts to write. Hmmm… do you think he was predicting our trivia game fortunes? Well, we didn’t come in dead last, but we were pretty close. We laughed and got lots of extra points for our animated singing and dancing in our chairs for every song. I threw names out for everything — artist, song title, year released, whether I knew it was right or not. C.C. kept trying to get it right. I wasn’t helping. Neither was a guy at the bar who said the answer for the Bonus question at the end of one of the rounds was ‘C’. I pointed to the guy at the bar. He insists it’s C.
I grabbed the pencil and change the answer. By the final fifth round, we’re so far behind we don’t even know where to begin. And even though it’s now 9pm, we don’t want to leave. C.C. thinks we can make up lost ground. But the category… “So you think that’s a word?” defies us. Seriously? Out of the 7 songs we got two parts of the three part answer for one song right. Artist and Title. We were way off on the Year Released. But we did get 50 bonus points for each song because of our singing out loud and dancing! No matter that we came in second last. Where we really felt like winners was in all the fun we had together. And what matters more than sharing good times and laughter together?